Spark a Lifelong Love of Ballet! Looking to introduce a new generation to the excitement and beauty of ballet? 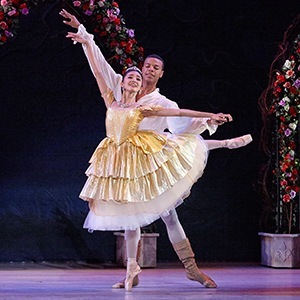 Watch your little ones fall in love with this celebrated fairy tale all over again as the talented dancers of the Atlanta Ballet bring this beloved story to life! This hour-long production is designed specifically with younger audience members in mind, sparking a love of ballet in children ages 12 and under. Your family will be mesmerized by this enchanting tale of adventure, unlikely friendships, and the power of true love! The show also includes a brief intermission. Ready to dance your way into a new home? Search our listings here!